I know I know its not fall but 2 weeks ago I just had MAJOR cravings for a butternut squash soup. I’ve probably made this a couple of times trying different recipes I’ve found through Pinterest. This time I tried a vegan/gluten free and paleo friendly version and you know what it was just as good. In fact I probably will stick to this version all the time now and cut out the cream. The pictures might not do it justice but the important part is the taste and yums! is all I have to say. I got this recipe from Ahead of Thyme. I did modify it a little here and there but nothing major. Roasted Squash all ready to blend. Smelled heavenly. Blended soup in pot (I left it a wee bit chunky) and all portioned up for meals on the go. So if you are a fan of this soup head over to Ahead of Thyme and get the recipe. I LOVE it! Laterz.. I can’t speak for everyone but after eating heavy meals my body craves something light, nutritious and healthy. I was browsing Pinterest and came across this taco quinoa salad which was pretty much a salad I’ve made before minus the taco and seasoning part and thought hey I’ll just throw in different spices and seasonings into my salad. I LOVE LOVE LOVE bread. Though I’m generally good and don’t over eat it as my stomach can’t handle too much. I wouldn’t say I have gluten allergies just excessive inhalation of bread does me no good. 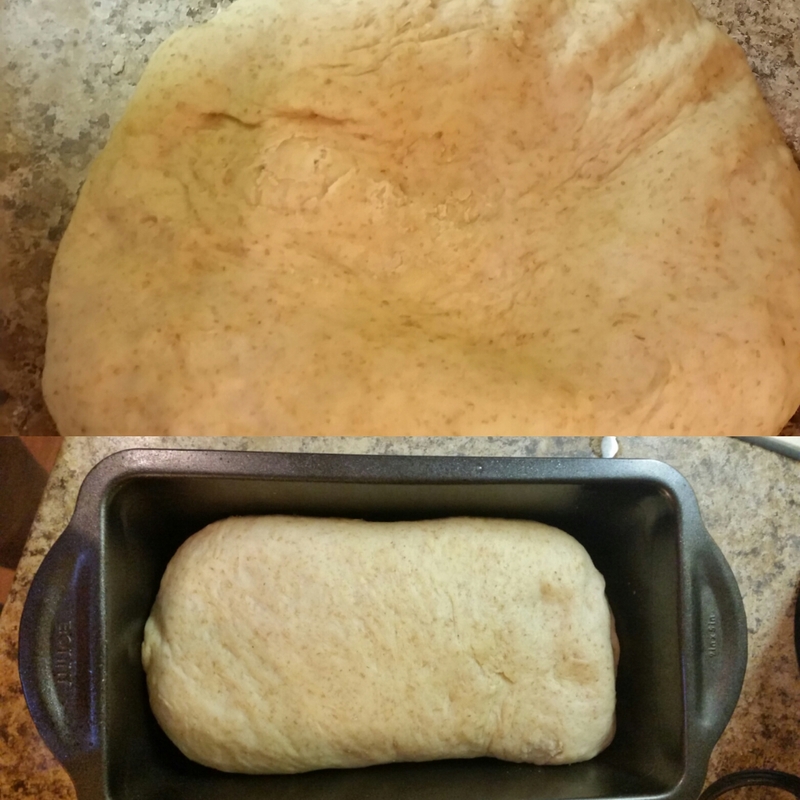 So the first bread I ever made was this potato dinner roll recipe I got from Gather for Bread. I tell you its the best ever! So good that I made it THREE times within 2 weeks! 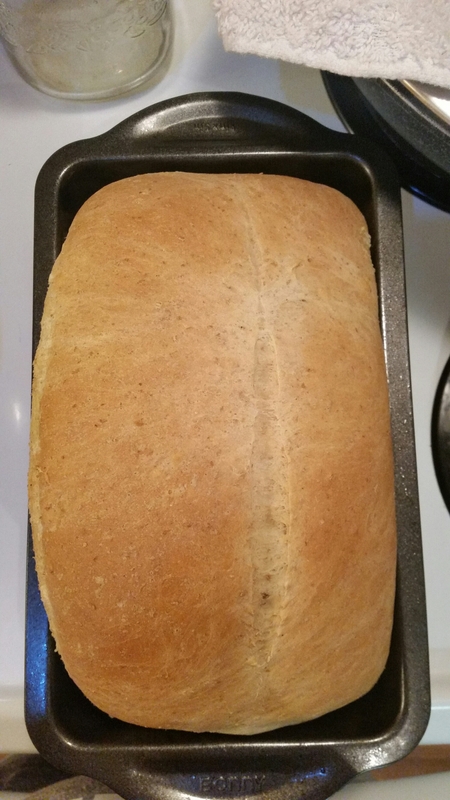 Well I’m no bread maker so I decided I’d modify this recipe and make a loaf. Add half the flours along with the yeast and mix. Add milk, sugar, salt and butter and mix on low until well combined. Add in the rest of the flour it by bit and egg and knead about 7 minutes (more if you are kneading by hand). 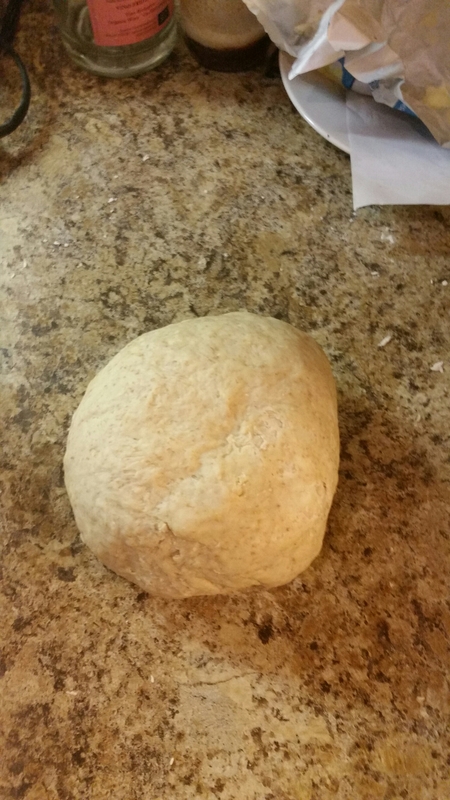 The dough should be smooth and elastic, add more flour if it is still too sticky Shape the dough into a ball and place in a greased owl and cover and let rise ~ 1 hour. 3. Press down the dough gently and let rest on the counter for about 15 minutes or so. 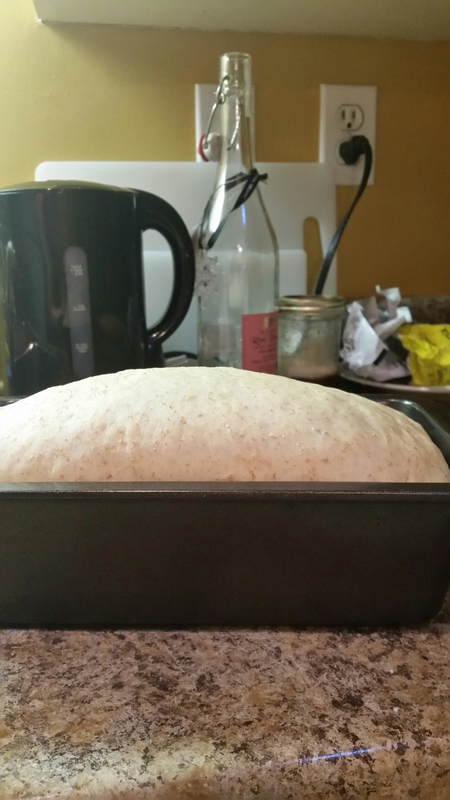 Shape the dough and place in greased loaf pan. 4. Let rest again till the dough is an inch over the pan. Mine took about 25 minutes. 5. At this time preheat the oven to 350F. Bake the loaf for about 30-40 minutes. You may have to cover it with foil half way through if it is browning on the top too much. Bread is done when its hollow at the bottom (tap). Cool on wire rack before serving. There are many variations of this pastry, different cultures make some variation of this curry puff. Some call it pasties, some call it empañada and so on. They have some similarities of course but I grew up eating karipap. Well this is my first time making them from scratch because I had a major craving for my Malaysian delight. I must say it turned out not bad for a neophyte. I used a recipe taken from Nasi Lemak Lover and modified it somewhat for my ineptness. I am quite bad at rolling out dough so the original recipe didn’t allow me to make the so called 30 pieces the recipe stated. I was also out of rice flour. Anyways here goes my modified version. Add salt, sugar, chicken stock powder and fish sauce to taste. Turn the heat down and cook till potatoes are done and you have a paste like consistency. Let cool to room temperature before using. In a large bowl add your flours together and mix them well. Add butter and rub in till crumble like texture (like pie dough) then add oil and keep mixing till well mixed. Pour ice cold water it by bit and mix with a wooden spoon (or hand). Then lightly knead till you get a soft dough (do not over work). Cover and let it rest for 15-20 minutes. To assemble shape dough in small balls ~13-15g and roll out small circles to 3.5-4 inch widths, spoon filling in wrap and pinch the edges and then deep fry them in oil ( the best) or bake them at 350F for about 25 minutes. Sorting through the beautiful clutter of life to find that "One Good Thing" every day and sharing it with you!